This past weekend the Perspectivity network event took place at the Hoorneboeg in Hilversum. A successful meeting with a varied program and an interesting mix of people, including long active members as well as first time visitors curious about what Perspectivity is all about. 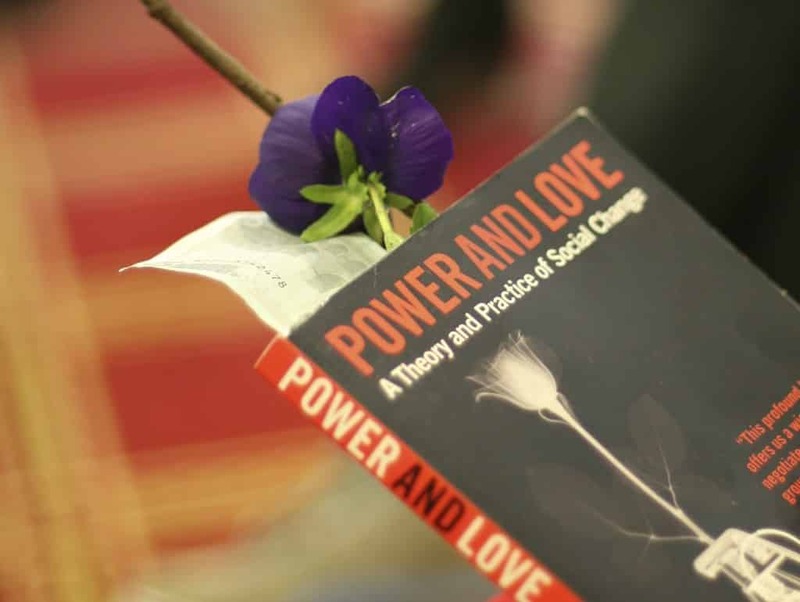 Theme of the weekend was ‘money’ and how we deal with that, on the basis of Adam Kahane’s theory Power and Love, an important guideline for all of our work. Guest speaker Jeroen Timmers – givingisallwehave.com – provided a new perspective on value and money. Perspectivity prefers to work on the basis of appreciative valuation, so Jeroen’s fee was also determined on that basis. On Saturday the participants examined the balance between power and love in different aspects of the work of Perspectivity, particularly in areas where money plays a role. The session was concluded “Perspectivity style” with a dialogue circle, using an improvised talking stick (see photo).